Simply elegant. The gold and red combination is classic. 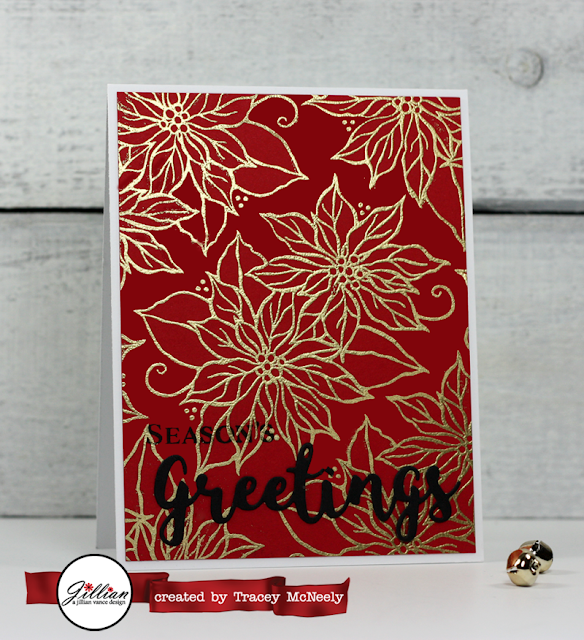 I love the red, gold, and black combo of this big, bold, and beautiful card Tracey!! What a beauty Tracey and so elegant! So beautiful...really love all the wonderful gold embossing, looks so magical! This is gorgeous! LOVING that red!!!!!!! LOVE the color--the red and gold is so beautiful and elegant!